We at West Philadelphia Real Estate have no other goal other than to provide you, our tenant, the most professional and responsive management services possible. In order to provide those services more conveniently to you we have provided you the following tools to assist with your needs. West Philadelphia Real Estate Notices and News. Curious if we will be open on a holiday? or if we have a special promotion going on? Check out our News and Notices section (and check back regularly) to stay up to date with the latest West Philadelphia Real Estate News. Pay rent online. The Tab to the right “Tenant Portal” allows you to pay us your rent online though a direct payment from your bank or credit card. You can log in each month to pay or set up an automatic monthly withdraw so you never have to think of accruing a late payment again. Please note direct bank payments are free but charges are applied for credit card payments. Request a work order. Have a runny faucet or a leaky roof? You don’t have to fix it yourself or have to live with it. Part of our commitment to you is to provide a safe, clean, and healthy environment for you to be proud to call your home. Simply click the tab “Tenant Portal” and send us a message letting us know the problem you are experiencing. We will respond within 24 hours letting you know we have received your request and let you know when someone will be out to fix the problem. Request Social Services. Need a help putting together a resume? Or help with your finances? These are just a few of the services we provide our tenants. West Philadelphia Real Estate has partnered with the Public Health Management Corporation to provide our tenants with social services for the duration of their stay. Simply click on the tab to the right and tell us what services you are interest in. Upon receiving your message we will have someone from PHMC contact you to assist you in bettering your life. Important Documents. We realize during your move in process you are getting a lot of papers which may be difficult to keep track of while also moving boxes and belongings around. In case you misplaced these documents we have provided all pertinent documents you received when signing your lease in the “Important Documents” Tab on the right. This includes: The Partners for Good Housing Booklet, Lead Protection Information, Tenant Move Out Information Form, Tenant Exit Survey & your vacating procedures checklist and charges. 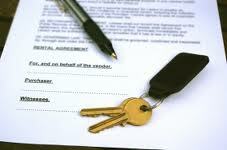 Please note: a copy of you individual lease is provided in your tenant portal. Tenant Survey. West Philadelphia Real Estate is committed to providing our tenants the service one should expect from their Property Management Company. However we realize we can always do better and invite our tenants to provide comments to us anonymously (or not) to let us know how we are doing.